For some reason I am getting nasty grey edges around the edges of rendered 3D models that are not present in Blender. Could I be doing something wrong, perhaps a setting in Unity that needs changing? 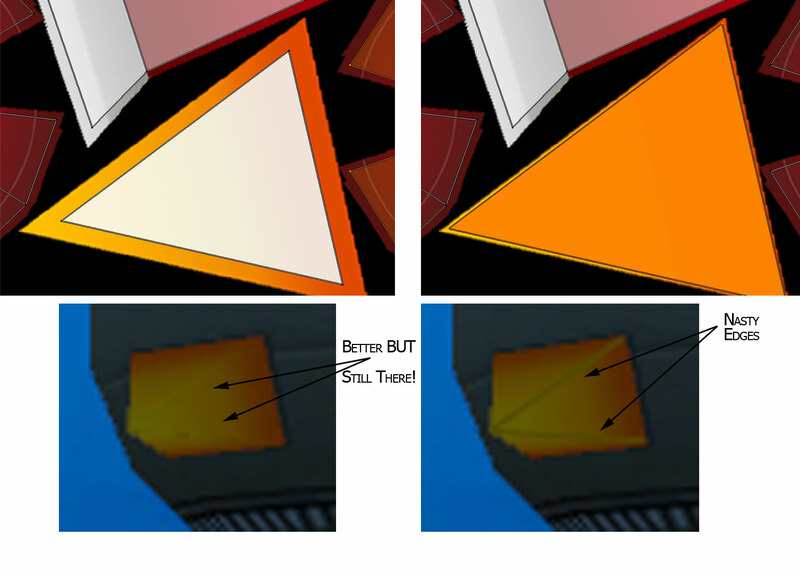 I have watched countless tutorials which demonstrate Blender default generated UV coordinates with "Texture Paint" which are perfectly aligned in Unity. This apparently has to do with how MipMaps are generated, though, in personal experiments I could not reproduce your problem to quite the magnitude you have. My best guess is that you got a double-threat going on: Unity may not be importing the mesh at a high enough resolution, and the gradient color you have going on there may be calling more attention to it. Also consider that it may not be the texture at all, but a reflection effect for the material that you are using. You may want to turn on interpolation in blender and go exploring with paint mode, to see if you don't have a UV error somewhere. Also, it seems like you have overlapping UV's, you should avoid that whenever possible, or at bare minimum make sure that they don't overlap perfectly. Not the answer you're looking for? Browse other questions tagged unity graphics textures blender uv-mapping or ask your own question. UV World mapping in shader with Unity.